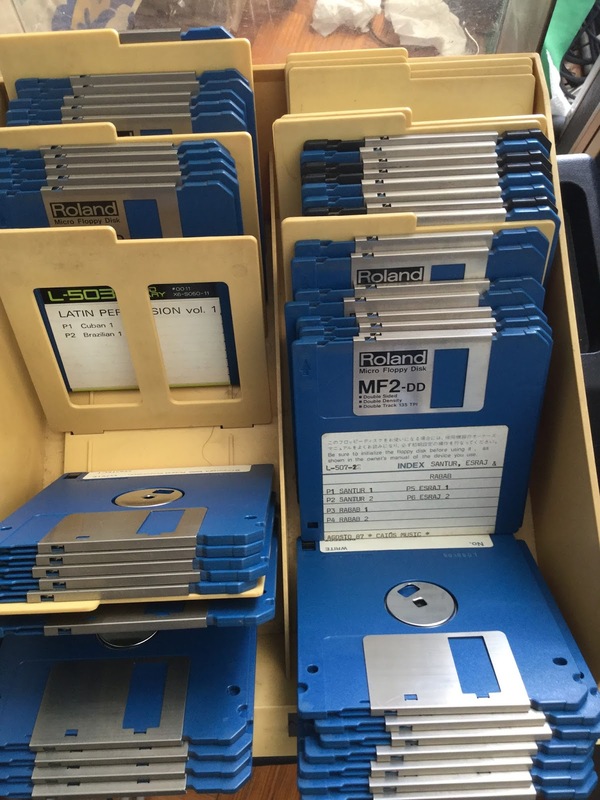 Synth-ing: To floppy or not to floppy? I know that nowadays it is pretty popular to update floppy drives with floppy emulators that allow for you replace several floppy disks with a single newer storage unit, like a USB stick or a SD card. I would definitely like to update some of my old samplers, especially the Akai S950, since I had some floppies going bad with it already. But for others, I don't really mind as I have a nice collection of floppy disks with a huge library! The previous owner assembled a really nice collection of floppy disks, which features a huge part of the original library plus a special library from a workshop he went to here in Portugal! I am not sure I tried all the disks yet, but it definitely features amazing sounds! Maybe in the near future I'll try to do that. Paulo, if you still have the library for your Roland S-50 or S-550, are you interested in trading some .OUT images? Let me know, thanks!